This time I used Gligora curd for the first time in the sweet version recipe. 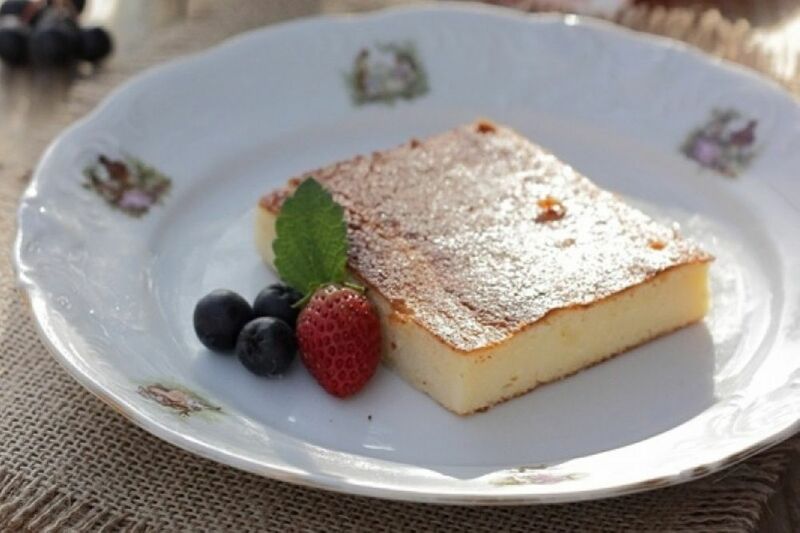 Similar to baked cheesecake, only without pastry. 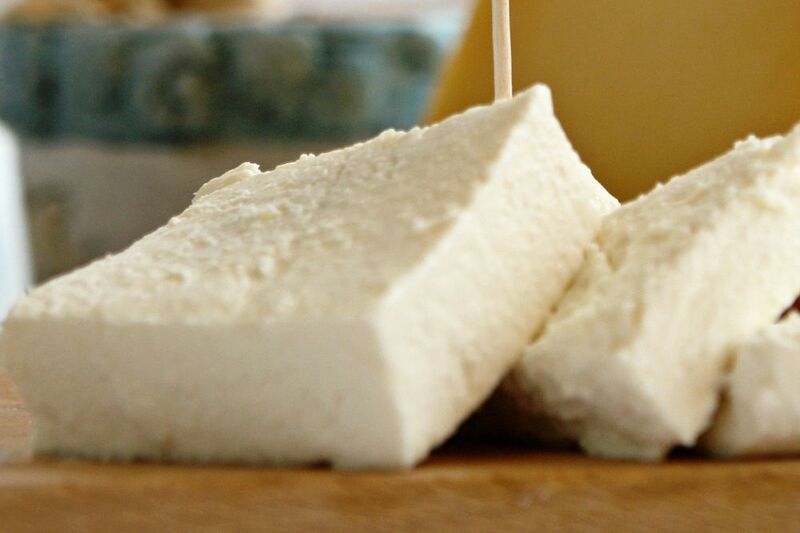 Soft and creamy curd structure is an ideal substitute for fresh cow cheese. The cake is pretty easily prepared and we used also vanilla sugar, lemon peel and juice to add some aroma. Dry raisins can also be added as they go perfectly with fresh cheese. Cheesecake can be prepared in a smaller, deeper, rectangle-shaped pan or in a round cake mold 20 cm in diameter. Separate egg yolks and whites. Mix egg whites adding 60 g sugar until you get a firm foam. Put it aside. Mix egg yolks with the rest 60 g sugar, vanilla sugar and lemon peel until the mixture turns bright and foamy. Add crumbled curd, Greek yogurt and lemon juice to egg yolks mixture, then briefly mix it again. Sift flour in the egg and cheese mixture, then slowly mix it with a putty knife. Similarly, after you added flour, add beaten egg white foam twice and carefully add it to the mixture. Pour the mixture into a pan or a mold, pre-oiled and covered with baking paper. Bake in the pre-heated oven for 30 min or until a toothpick pierced in the pastry is not clean and dry. Cool the cake, cut into pieces of desired size and spread powdered sugar if you like it.